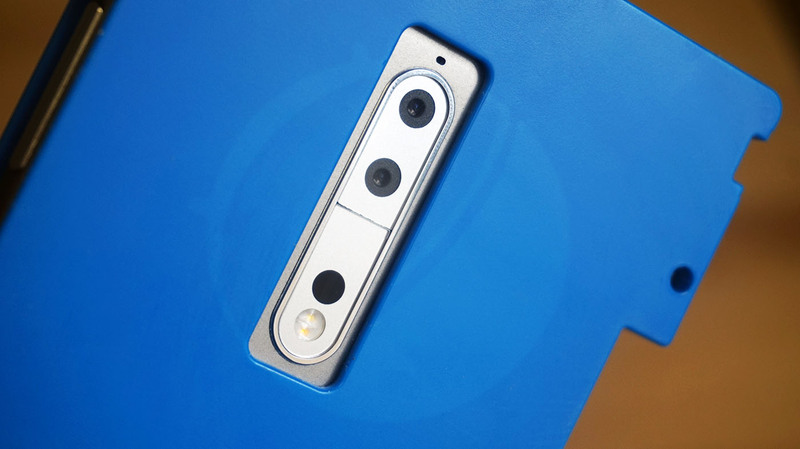 Credible German news site WinFuture.de reports new info about the alleged Nokia flagship under the model number TA-1004 we heard about numerous times before. Contrary to reports that Nokia 8 will come with Snapdragon 660, with the Nokia 7 being with Snapdragon 630 and Nokia 9 with Snapdragon 835, winfuture.de’s source claim that the TA-1004 equipped with Snapdragon 835 and 4GB RAM, as we already know thanks to AnTuTu, will be called Nokia 8, not Nokia 9. In Europe, Nokia 8 (TA-1004) will also have 64GB of internal storage, 4GB of RAM and a Dual-SIM option as well. The source is talking about four color variants, that are: Blue, Steel (Silver), Gold Blue and Gold Copper. The screen size is 5.7-inches, not 5.3-inches as rumored before and with 2K resolution. The above written information about Nokia 8 is related to the version that will be sold in Europe, and there are possibilities that we are going to see options with more RAM for other markets or some time after the 8’s availability. Nokia 8 should be available starting 31st July for a retail price of €589 ($675) in Europe. The source didn’t mention camera or other specifications like battery, but the TA-1004 is rumored to come with a Dual lens camera that will probably be brandad with ZEISS. This new reports contradicts a few recent reports about the upcoming Nokia smartphones, so I recommend taking it with a pinch of salt. Additionally, the source didn’t mention Nokia TA-1012 that should be a version of the flagship with 6GB or/and 8GB RAM, that we saw on benchmarks. Considering that the Nokia 6 in China has 4GB RAM, HMD will probably push the 6GB or 8GB version there first. I’m personally satisfied with the specifications, especially the screen size that is not 5.3-inches, according to winfuture.de. The price is flagship high, but non-European readers have to keep in mind that in Europe (and Australia) prices for phones are overall higher compared to same models in the US, China or India for example.